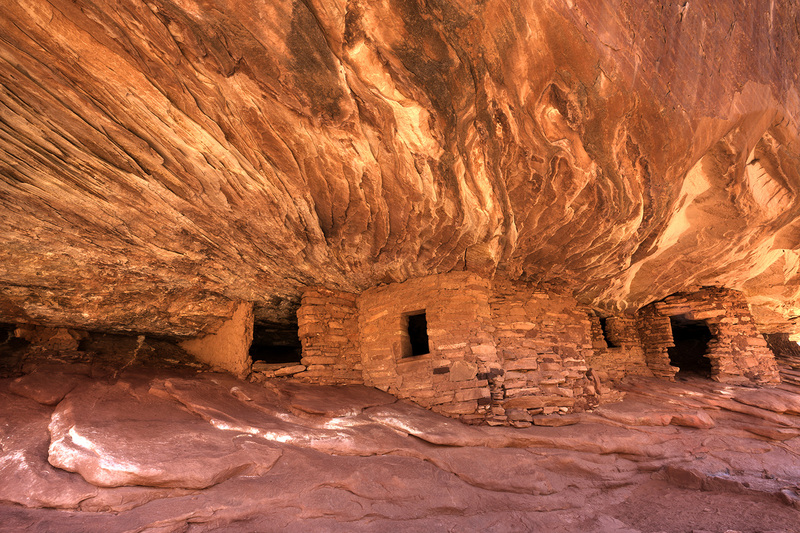 In Mule Canyon, Utah, the famous "House on Fire" is one of many sandstone block structures tucked up under the cliffs. This particular landmark is named for the remarkable effect it displays in the sunlight. Such ruins are estimated to have been occupied back in the 11th and 12th centuries A.D. This beautifully detailed photograph was captured late morning, just as the sunlight cast its glow along the rock face. The play of light against the incredible textured stone gives the appearance of flames licking up the canyon wall.